Over the last couple of weeks we and the entire aviation industry have focused on the mistakes made by WOW Air and how they led to the airline’s bankruptcy. Today, we decided to take a step back and evaluate the things that Wow air actually got right. We have identified three main areas of strength: the initial ultra-low-cost focus, the fast growth and the striking, purple livery together with good marketing. WOW air started operating in May 2012, many years later than its main rival Icelandair, which serves as a legacy carrier. Given a 340,000 population of Iceland, starting another full service airline had no hope of success. The reasonable alternative was the low cost business model, offering the tickets at much lower prices than Icelandair. 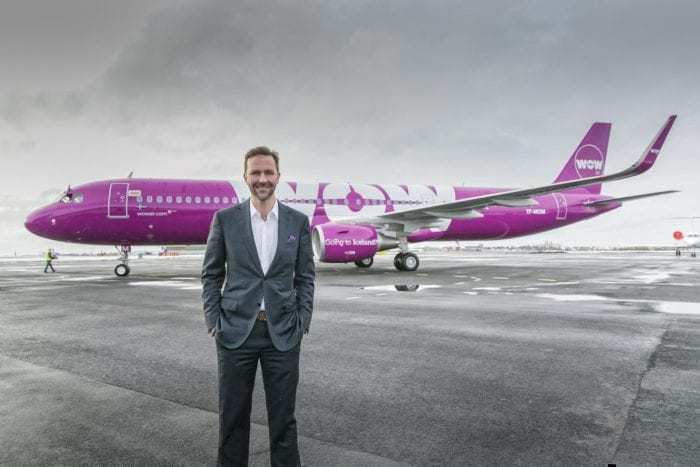 Wow air’s founder, Skúli Mogensen, saw the opportunity to allow travellers to get to Iceland at lower costs and decided to launch Wow air. The initial structure of the airline was very simple; A uniform, an Airbus A320 based fleet, a focus on single-class aircraft with 174 to 220 seats, simple service delivery and low operational costs. That low cost business model proved to be successful, as the airline remained profitable until 2017. The problems arrived when the airline abandoned a crucial component of the low-cost philosophy and acquired three Airbus A330-300’s, ending the uniformity of its fleet. The airline managed to grow fast, often recording a two-digit growth number. By 2013 Wow air had carried 400,000 passengers. Just a year later and the millionth passenger had travelled n the carrier. During 2015, the airline expanded its services to the U.S. and Canada and had a capacity of 740,000 seats per year. In 2016, Wow air added Los Angeles and San Francisco to their network and had a capacity of 1.6million, more than double that of the year before. The airline did not stop growing through 2017 too, when it noted a 69% increase in passenger numbers and reached 2.8 million total seats. That fast, and mostly profitable growth was only possible thanks to the correct combination of the types of aircraft and the destinations chosen by the airline. However, we cannot forget that it was also helped by low oil prices and a booming popularity of Iceland as a destination for travellers. Without these conditions, it might have been difficult for WOW Air to grow at the pace it did. Once we evaluate a strategy of an airline, its livery may seem insignificant. However, sometimes it makes a big difference. Airlines seek anything that strikes a chord with their clients and makes their journey memorable. 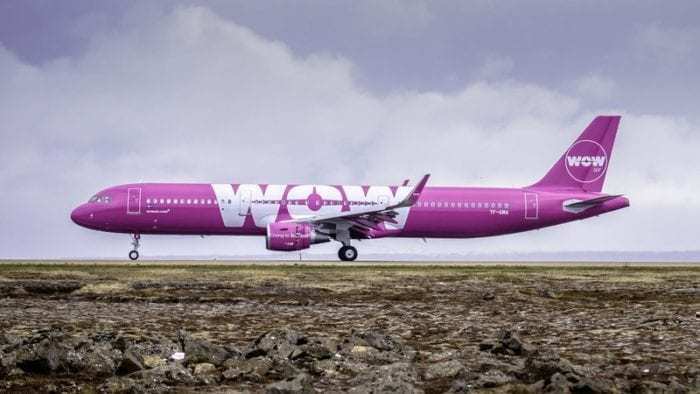 Everyone who flew WOW Air remembers the striking violet airplane. As well as its catchiness, the livery also expresses the values embraced by the airline; that is a clean and a modern approach to flying. WOW air attracted consumers from around the globe, not only with its beautiful livery, but also with its great social media advertising. Simple, colourful posters were typical for the Icelandic airline and were not only appreciated by consumers, but also by juries. WOW Air has received SimpliFlying Awards for Excellence in Social Media, 2017: A Top 3 Airline for Branding, Best Airline for Launches; Best Airline in Europe; and a “Highly Commended” Airline for Branding. All in all, we are sad to see another airline to cease its operations in the recent months. Unfortunately, the very high level of competition in the aviation industry doesn’t forgive mistakes. The mistakes made by WOW Air ended in disaster, but it’s not all bad news. We may yet see WOW Air flying again, as it remains the ambition of the airline’s founder.